This airy kitchen design is a beautiful example of a coastal approach to the farmhouse style. Light blues and natural warm sand tones are reminiscent of the natural hues found on a calm beachfront. 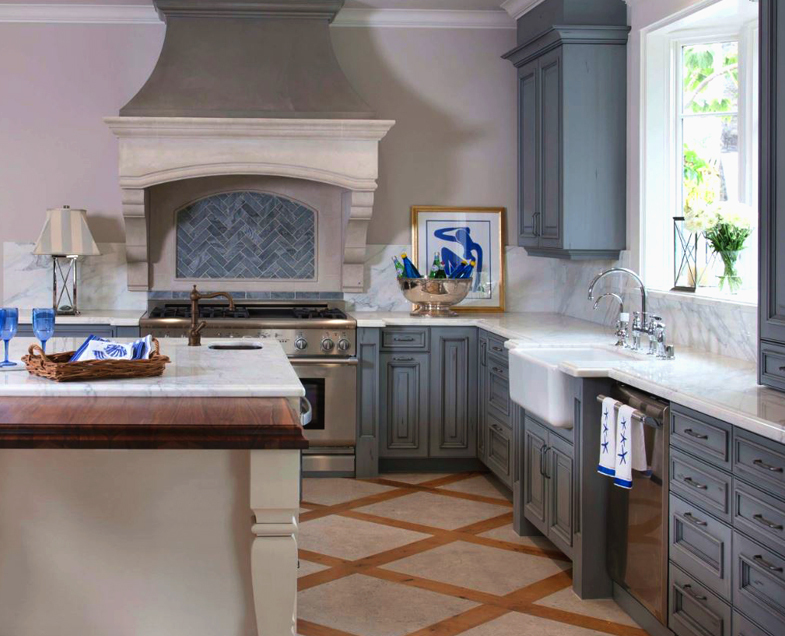 The strong, traditional cabinets pair beautifully with the marbled stone countertops. A pure white, front apron fireclay sink sits in front of a generous sized window, visually opening up the space. Color and texture have skillfully been used to round up the theme throughout the kitchen: the different tones of blue in the backsplash follow the tone of the blue cabinets; while the off white island matches the color and style of the impressive range hood. 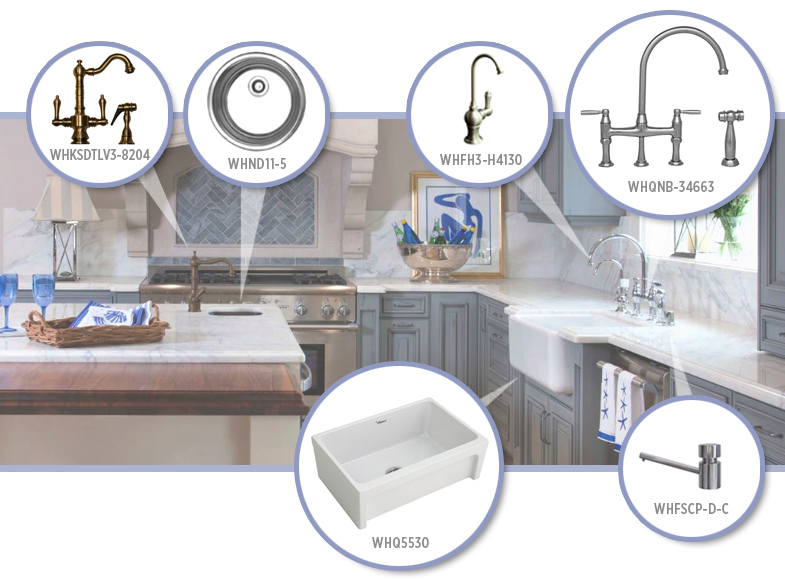 Whitehaus Collection® offers an extensive line of fireclay sinks. The WHQ5530 Glencove reversible fireclay sink would be a great option that would pair nicely in this layout as well. It has a 2″ lip plain front on one side, an elegant beveled border on the other, measuring at 30” x 20”, it makes it the ideal size for all your kitchen need. This sink is finished on all four sides, and offered in White, Biscuit, Black and Sapphire Blue. Whitehaus Collection® has all the fixtures you need to recreate this look: faucet and side spray set, hot water dispenser and soap/lotion dispenser. And for the island, stunning Noah Collection prep sink and the Vintage III collection prep faucet.